I met Tom Williamson after I made a comment on his blog, he saw it and clicked through to my blog then clicked on to my linked in profile and asked to join my network. I love what social media can do for networking. Tom is the founder of Twillyon, a Social Media Marketing firm, and was nice enough to agree to be interviewed for my blog. I caught up with him at The Highway on Thursday March 17th and picked his brain for a little over an hour. He is very charismatic and knowledgeable about his craft. As I asked each question, his answers came bursting out of him and I had to scramble to get everything down. My questions are in italics followed by Tom's dot-pointed answers. How can social media benefit businesses? It can support offline marketing, enhancing and increasing reach. Social media can build extensive reach... much further than traditional marketing methods. Building relationships with existing and potential clients. It can benefit those businesses who's clients are using social media. Be where your clients are. Start listening and monitoring, search for your brand, your competitors and monitor. Use Social Mention and Google Alerts to monitor mentions of your brand, on websites, social media, blogs, forums etc. What type of businesses get the greatest benefits? Businesses that have a quirky and left field marketing strategy for their demographic tend to fit social media better but it does depend on the market and demographic. Is social media most beneficial for maintaining a relationship with current customers or gaining new customers? Existing customers- Make them into brand advocates, social media is good for that. Show appreciation for their custom and leave them with a positive and personalised experience which they'll hopefully share with their friends. New customers- Raising brand awareness and brand frequency. You dictate how many 'slots' you get unlike radio and TV. How can/should social media be used in conjunction with other marketing channels? Use it to support other marketing channels, tie together and integrate with technology such as QR codes. Where is the social media marketing industry heading? What are some of the trends you are seeing? What are some of your predictions for the future? Privacy will become less and less prevalent. Mark Zuckerberg commented in an interview that he predicts a future where the only private information will be the thoughts in our heads. People are becoming more contactable. Everything will become one step away making things quicker and more convenient. There will be a rise in location based services... including virtual and physical rewards. Individual customers will feel less and less like a statistic. They will expect businesses to engage with them and provide customised service. How do businesses choose which social media tools are right for them? Find out where your market is. New services emerging for different types of businesses such as GetGlue for checking into TV programs and movies you are watching and even celebrities you're talking about, wine you're drinking, books you're reading, and games you're playing. Linkedin can be useful for B2B. Get to know the services and platforms and focus your efforts on where your target market is. Is it better to do a little on a lot of sites or a lot on a few sites? Again, go where your market is.Start off small.. gradually move into new tools. Time is a factor for most people so monitoring and listening is very important. Is there much difference between the people/communities who use the different tools? Twitter: The Adelaide community seems to be skewed towards female in the 35-50 age range. Facebook: Changes depending on the demographic. What are your Best Practice recommendations? Be the voice of your company. If different people are posting, they should have a different voice but the message should remain consistent. It's ok to use slang and abbreviations appropriate to your market but don't swear. Be in direct contact with the clients. Always have at least 2 page admins to avoid ownership of the page being passed to a 3rd party if admin's profiles are deleted. When writing on third party pages as your page, add your name at the end of the post e.g. ^Nick. For comments relating to business, post as your page but for more personal comments post as yourself (relates to recent Facebook changes allowing you to switch between using Facebook as your page and using it as yourself). If there are multiple people posting, use the brand name as your Twitter account name and each person put their initials at the end of their posts. If its just one person posting they can put their own name as the Twitter name. What measurable benefits should businesses see from their social media marketing? You can create coupon campaigns that are only run through social media platforms to measure the sales directly resulting from those platforms. Facebook Pages have statistics available in the back end. It gives you insight into the number of likes and comments your posts receive. The higher this number, the more likely it is for people to see your posts. You also get an impression count, something you don't get from traditional media. There are various social ranking and scoring metrics for Twitter and Facebook, such as Klout, which give you an indication of how interactive and engaging you are and rank you against other people. What are the other non-measurable or hard to measure benefits of SMM? Its difficult to measure how many of the people who are viewing you on social media are coming to your venue or business. Some people don't just don't use coupons. When your customers have interacted with your brand in several different ways its hard to determine if social media was where they first heard about you or where they were convinced to become a customer. In the future, near field technology could be used to collect data from customers about which networks they are part of. How regularly should the tools be updated and monitored? Facebook- Whatever you've got time to do, no more than twice a day and at least once every few days. Twitter- As many times as you like, as long as you're not spamming or machine gun posting. You can update every 2 or 3 minutes if you're engaged in a conversation. How many hours per week need to be invested to manage the account? Bring it into your routine, start off similar to how you check emails. If you check them twice a day then start there and develop a rhythm for yourself based on the tools and the conversations that you're having. It can vary greatly for different people and businesses. A brand such as The Highway can be managed on 30 hours a month with good time management. Whats the relationship between the amount of effort (or investment) put in and the returns gained (e.g. diminishing returns, exponential increase or straight line relationship.)? How does it compare with other forms of online and offline marketing? Some businesses might not see any benefit. It depends on the level of skill, you must be engaging but you can't be too spammy. In any marketing discipline there are lots of different variables that determine success. Web banners, for example, don't have a great track record and have delivered little return. While the success of TV and radio marketing depends on the skill and efforts of the creative team, the call to cation and other things. Social Media gets more impressions and views for your money than traditional marketing. The Highway has seen an increase in business since the started using social media for marketing. How does the quality (ie. conversion potential) of traffic/leads generated from social media compare to that of other forms of online and offline marketing. Social Media is very much about branding and creating brand advocates and brand awareness. It can also be a vehicle for leads. The amount of time and effort spent may not be directly measurable in terms of leads and conversions. The Highway was your first major project, how did you come up with the Social Media Marketing strategy? I live and breath the brand, my personality comes through strongly in The Highway's brand. We maintain a quirky and left field attitude not taking ourselves too seriously, it's a marketing strategy which people seem to be attracted to. How do you measure the success of your marketing efforts? We have events that are only promoted through social media such as our recent Adelaide Cup after party. We use Social Media Monitoring to measure brand frequency and awareness. We have formed a whole new community of guests who's first interaction with us was on Twitter or Facebook and continue to communicate with us in their chosen space. it's great to hear their feedback when they've had dinner with us or dropped in for a drink. What are some new things you're bringing into your marketing strategy? We're going to start using Instagram, an app like Twitpic to post pics through social media, to display our 'Adelaide's Favourite Sign' photos. We have fallen pretty heavily for QR codes which will hopefully be displayed on all internal and outgoing marketing material by the end of the year. What are 5 simple things anyone can do to improve their Facebook page? Take advantage of the full Facebook profile picture space.Install custom tabs and 3rd party apps to increase your page's stickiness. Have a welcome page where you encourage people to 'like' and become a fan. You can 'fan gate,' e.g. 'click like to see this,' and get them to engage with up to date content. Take advantage of the 5 pictures at the top of your page. For example, if your photo banner isn't filled with photos, create an image that says 'check out my blog,' then at the bottom of the full sized picture you include a link to your blog. The maximum photo size is approx 970 x 689. What should you do before you launch your social media marketing strategy? Listen and monitor to find out where people are. Find out what they are saying, is it right for you? Spend some time in the space, learn the tools and go from there. Be prepared to cop negative feedback, its a good thing. Thanks very much to Tom for agreeing to be interviewed. You can find Tom's contact details and some more information about his company, Twillyon Social Media Solutions, at their company profile. A selection of digital marketing content pulled from various Adelaide bloggers, tweeters, youtubers and other sources over the past few weeks. I'd like to turn this into a regular post, perhaps weekly or bi-weekly, if people find it valuable. Plant Life Balance. A Campaign Making Office Life Healthy and Happier. Can Social Media Sell A Product? Featuring Michelle Prak. Writing for the web is a skill that, when mastered, can help improve your conversion rate. There are many differences between writing for the web and writing for offline content. I actually wrote this post a few years ago for another blog project that I didn't keep up so I'm reusing it here. I'm interviewing two Adelaide based Professional Copywriters, Anna Peterson and Michael Soinenen, in the next few weeks so it will be interesting to compare their tips and insights to my researched article. Your website content is what attracts, engages and ultimately converts your visitors. People behave very differently on the web than they do when consuming other media. The information, structure and navigation or your pages is very important to make customers of your visitors. Every page should end with a call to action to channel your visitor towards a conversion. People come to your website for information. If you don’t have what they’re looking for then your competition is only a back button away. Market research is important to determine what your customer’s needs are and what language and keywords they are using to explore and satisfy those needs. Try to write information rich articles with a specific focus to help satisfy your customer’s needs. First and foremost your content is for engaging and then converting your customers. The second most important reason to have good content is to make your website findable in the search engines. Each webpage should be optimised for a small number of keywords or key phrases, which are determined through market research. I will discuss search engine optimisation at greater length in future posts. Intuitive headlines and titles to make it clear what the page is about. Illustrate some content with pictures and diagrams with unique captions explaining them. Start each page with a conclusion and a short summary of the remaining content. Eye tracking studies have shown that users typically scan a webpage in an ‘F’ shaped pattern. In addition, content that is above the fold, or before the user has to scroll, is much more likely to be read than content that the user must scroll for. Structure your page so that the most important information is at the top and towards the left of the page. Maximise the space at the top of your document by including links to other sections of the document using anchor links. Split long articles into multiple, hyperlinked pages as users aren’t willing to read large documents on the web. Keep your page clean and simple by linking to background or explanatory information for those who want or need it. Treat your hyperlinks as keywords as they will stand out and draw the eye of your scanning customers. Every page on your website should end with a call to action. The call to action should be a step towards completing a conversion. My call to action for this page is for people to subscribe to my feed so they can receive my new internet marketing articles as soon as they are published. One of my objectives for this blog was to facilitate networking with internet marketing professionals in Adelaide. I have compiled a table below listing the people who I have met as a result of this blog and related activities and would now consider to be part of my network. There is also information about how the initial contact was made, how we tend to interact and whether or not we have met in person. Beneath the table is a run down of the different tools for professional networking and how I think they should be used. My loose definition of someone I count as 'in my network' is someone I have interacted with on numerous different occasions and through different mediums. This table only covers people I have met since starting the blog, people I knew before that are not included in this table. Not a great tool for networking as unsolicited email can be taken as Spam. The law in Australia allows for emails related to their business so there is some leeway here. I used email initially to look for interviewees but I wouldn't consider using it again as a firth contact method until all other avenues had been tried. Twitter is my favourite tool for networking at the moment. It's really easy to start a dialogue with someone you have an interest in networking with. Just join in the conversation whenever you can add some value and don't be salesy or spammy. Linkedin is meant to be 'the' professional networking tool but its more useful for visualising your existing network than for finding new people to network with. You can use it to find potential connections by examining the 2nd and 3rd connections in your network, but Twitter is much more useful for making initial contact and interacting with your new connection. I invite people to connect with me on linkedin on my blog (sidebar and below each post) and use it to consolidate connections made elsewhere. Networking via facebook can be problematic if you want to keep your profile private and your professional networks separate from your personal ones. The recent updates allowing users to 'use facebook as a page' have made it slightly easier, although its more about networking your brand rather than yourself. I tried to sidestep this by creating a page for myself but it hasn't really worked so far. In the future I will probably only use facebook for first contact as a last resort. Meeting people in person at networking events and conferences is still a great way to network. You can learn so much about a person by meeting them face to face that you can't get very easily through online mediums. However, I think the combination of both offline and online interaction is the path to the strongest network connections. As of now I have only met a few of my network connections in person but I hope to eventually meet all of them. I've been using twitter now for about a month. You can find me tweeting about internet marketing @WebMarkAdelaide and I recently starting also tweeting for @SuperPlayCafe as well. My impression of twitter before I started using it was that it was pretty much a tool that was made up of only facebook status updates. I couldn't have been more wrong. It reminds me of being in a chatroom. Twitter is like a world wide chatroom where you can filter the chats you want to receive, ie. the people, searches and lists that you follow. @TaschaD posted a summary of a conversation she started on twitter about how the Sausages sold at the Clipsal 500 aren't made in SA. This will give you an idea of how a conversation on twitter can grow and change and jump to different networks like its an organism... its very exciting. Twitter is faster- you can be posting updates 30 times per day and thats perfectly acceptable. If you're away for a few hours, you can miss hundreds of relevant tweets that you will never see again unless you go back and look for them. Twitter is more organic- the twitter community interacts in a very organic way where trends and new ways of doing things emerge naturally, where as the use of facebook is very structured just the way M. Zuck wants it. Twitter is simpler- the microblogging platform is much simpler than facebook with most additional functionality added by external applications. Its easier to get more followers on twitter than fans/friends on facebook- all you need to do is join in the conversation and if what you offer is useful and interesting then people will start following you. A little more viral than facebook- 'ReTweeting' seems like a much more common practice on twitter than 'sharing' does on facebook. Great for networking- I've found it much better than linkedin for networking (more about this in future post). Industry Updates/Articles/info- It takes the place of Google Reader for me in many ways as I can get article recommendations from those I follow instead of getting them based on the blogs and sites I follow. Many of the people I follow mix personal tweets with professional tweets and still keep it interesting (although I have unfollowed people who post a lot of personal tweets which I'm not interested in). Somehow those mundane sounding tweets about what you're eating for lunch don't seem so mundane after all, although I'm sure they would be if that's all you tweeted about. For me Twitter is still primarily a business tool. Link Bait is a legitimate way to build natural links to your website by focusing on types of content that have been shown to be good at attracting links. Attack- taking the 'contrary' approach to the next step, you attach someone and their viewpoint. Be careful, it could backfire on you if it gets too heated. Humour- humorous article, video, pictures etc. If it is actually funny, people will share it and some will link to it. Why would you want links? Acquiring incoming links, known as link building, is an important part of Search Engine Optimisation. Links to your website can also bring traffic, some of which will hopefully turn into customers. Linkable content is often also more likely to be shared through social media, meaning more people will see it and you will get more traffic. This post has been sitting in my drafts for a while simply as my own reference for future interviews. People often Google their names or companies so I thought I would create a list of people here and if they find me on their own and are interested in being interviewed then they can contact me themselves. If you are on the list and would like to be interviewed you can contact me by email at nick.morris @ this domain, by twitter @WebMarkAdelaide, by Linkedin or by Facebook. Are there any internet marketing businesses out there focussing on analytics? If you know any suggest below in the comments, if you are one then contact me. Do you know any Adelaide Businesses using blogging as a marketing tool? Let me know in the comments. Do you know any Adelaide Businesses using websites and the internet as a marketing tool? Let me know in the comments. Directory links are a type of manual suggestion and approval link. 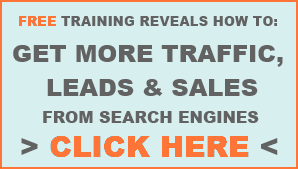 They are easy to acquire and will hopefully refer some traffic as well as some search engine benefits. Below I have listed all the directories that I could include SP in. I found most of the directories by analysing the backlinks to competitors and related websites. The directories that just have a web address and no link are those who I have submitted to but the listing has not yet been approved. Each directory submission took 5-15 minutes to complete with a further 5-10 minutes to find each directory. This is a list of paid directories that I came across. 'Payment' can be anything from requiring a return link to $100's of advertising costs. At this stage we are not going to invest in any paid directory listings. Description of the Web Development stage for the Internet Marketing Adelaide project. Articles- Most of the written content is in blog post articles. I've been trying to update the blog every two days. My articles are generally short, have a 1 or 2 sentence summary at the top and use dot points where possible to make them easy to read. Videos- I created a dedicated YouTube account, Web Marketing Adelaide, for videos relating to this project. Backend- Hosted for free by Blogger (Google owned), the domain name was registered through Google and the image and email hosting is provided by Google. I selected a simple, free template for blogger and just went with it. I especially liked that the header is not very high so you see more content without scrolling. I haven't yet done any usability testing but would like to in the future. Unfortunately the post title is misleading. I was hoping to bring you an interview with Let Face It (website), an Adelaide company that offers Social Media Solutions for businesses. I contacted them about a month ago and received a reply from Michelle Vigor, business development manager and partner, saying she was happy to do an interview and to send the questions through. I sent through the questions that evening but never received a reply. Here's some of the questions I wanted to ask Michelle. I don't know if I'll ever get replies but if you are thinking of hiring someone to take care of your social media marketing, you should keep these questions in mind. What measurable benefits should businesses see from their social media marketing (SMM)? How regularly should you make updates and comments? How does the quality (ie. conversion potential) of traffic/leads generated from social media compare to that or other forms of online marketing (e.g. SEO, PPC & Email Marketing) and offline marketing (TV, print, yellow pages)? Clicks on outbound links is an advanced statistic to track. It can give you insight into the biggest traffic leaks on your site or how well you're doing when you encourage people to follow a link offsite. This method creates whats known as a virtual pageview when the link is clicked. You specify the path for the pagview as if it were an actual page and it is recorded within GA just like any other page view. The problem is that the extra pageviews affect other important statistics such as Bounce Rate and Page Views/ Visitor. The advantage is that you can use the virtual page view as a goal. This method simply tracks the click as an event and is the more appropriate way to track clicks on outbound links. The problem is you cant use the event as a goal within GA (yet). I've been trailing the use of virtual pageviews on this blog and another site and I've decided that its ability to be used as a goal is not worth the affect it has on bounce rate. I am in the process of switching over to the event tracking method. I've found an interesting article which has a workaround for using event tracking as if it were a goal. Trying to work this stuff out was made much more difficult by the existence of this article: http://www.google.com/support/analytics/bin/answer.py?hl=en&answer=55527. It contains an outdated method but because it was in Google support it was difficult to discount it. I eventually found some other threads; here and here that clear it up. Before developing a web strategy you should always do some market research to ensure your strategies are the most efficient way to achieve your goals. Which market niche are we going to focus on? Which keywords and phrases are we going to use to target our niche? What will our conversion points be? What media mix will we use to drive traffic? A value propopostion is a marketing statement that summarises why a consumer should buy a product or use a service. This statement should convince a potential consumer that one particular product or service will add more value or better solve a problem than other similar offerings. There can be many possible value propositions for a specific product depending on which aspect of the product you decide to focus on. Your market and keyword research will identify several potential product aspects that customers value and are searching for. The research will be accompanied by data showing the competition, relevancy and value of each product aspect to help you make a decision about which one to target. Identify your key competitors on the web and analyse their websites with the above six questions in mind. Compare and contrast their offereings with yours to determine which aspects of your offering are more exclusive and more valuable. Brainstorm all the keywords and phrases that describe your product or offering and analyse which of those each of your competitors tend to focus on. A niche market is a focused, targetable portion of a market. A business that focuses on a niche market is addressing a need for a product or service that is not being addressed by mainstream providers. You can think of a niche market as a narrowly defined group of potential customers. It is extremely difficult to jump straight on the web as a mainstream provider. Your best chance of success is to start with a very narrow focus and expand it as your web business grows. Market and keyword research will identify several potential target market niches, defined by the keywords they commonly use. The research will be accompanied by data showing the competition, relevancy and value of each market niche to help you make a decision about which one to target. You need to do some initial analysis of your existing customers and target market to determine how they might interact with your company and product on the web. Ask your customers what kinds of keywords they would use to describe your product and type into a search engine to find you. In addition, ask them why they use your product or service and which aspect is most valuable. A great way to do this is by sending out a customer survey but you can also gain valuable insight by talking to a few of your customers face to face or over the phone. Seek out communities on the web related to your market. These places can include forums, blogs and social networking groups. Look at the keywords and language being used to describe your kind of products and compare them with those collected from your existing customers. Keep your eyes open for potential markets that you may not have been aware of. Keywords connect customers with products and are therefore the building blocks of web marketing strategy. Your product and competitive analysis and customer and market analysis should have given you a general idea of which keywords your existing market might use to find your existing product. The purpose of keyword research is to compare and contrast your keywords by competition, relevency and value to help determine your product and market focus. Your keyword comparison and analysis will identify several potential target market niches and value propositions. Your target keywords will be those that connect your target market niche with your chosen value proposition. I caught up with Ian Reilley, Director of Media Mouse, an Adelaide based internet marketing company specialising in SEO and conversion optimisation, in December to discuss web marketing. Internet marketing is promoting your own or other websites getting exposure to your target market, traffic to your website, and converting those visitors. - Ian Reilley. I asked Ian what is the first step when taking on a new client and he said "find out what they want." It is important to have clear goals in mind for your website or online presence to give direction to your web marketing campaign. Once the desired end point (goals) have been established you simply need to "work backwards" to determine what needs to be done, and then execute it. One of the first and most important steps to success on the internet is keyword research. Ian highlighted 'market, competition and search volumes' as critical as important things to look at in the initial phases of an internet marketing plan. Ian was adamant that Search Engine Optimisation (SEO) is the most effective thing businesses can do to improve their websites and online presence. By SEO he basically means 'Page 1 of Google,' as they have by far the largest search market share in Australia (around 95%). He also said the following three things are important for success. Mr Reilley is not yet convinced that Facebook, while excellent for branding, is the right vehicle for conversions when compared with Google. When you hire an internet marketing professional for your business, Ian advises that you should see a return on your investment within 60 days. If you don't, you should find someone else.